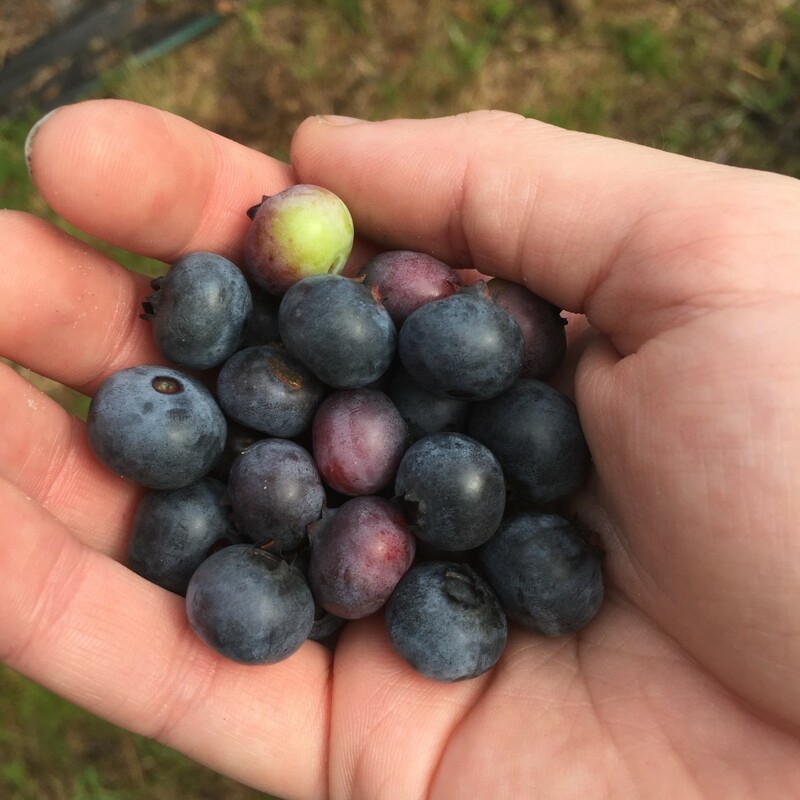 I’ve been wanting to go berry-picking for awhile, so when a friend on Instagram posted a picture of her blueberry haul last weekend, I jumped at the opportunity to learn more. With her help, I discovered a charming place called Harriet’s Bluff Farm and dragged my sister along for the ride. The timing was perfect – Rhiannon just wrapped up her last day of high school, we had word from the farm that both blueberries and blackberries were ripe for the picking, and the weather was all blue skies and sunshine. 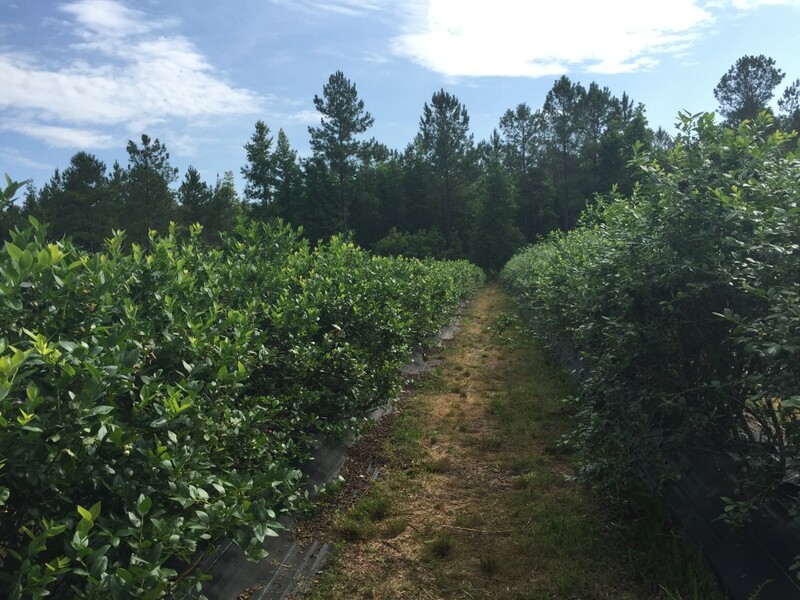 In researching the farm before driving up, we learned that not only do they carry several varieties of blueberries, but also have a couple of rows of blackberries (thornless, no less) and are a USDA organic farm! A win, win, WIN in my book. When we arrived, we found freshly rinsed, five-gallon buckets stacked neatly at the entrance to the rows of berries, along with several stacks of smaller buckets for those looking for a less intimidating haul. We took two of the five gallon buckets (one each) for our blueberry hunt, and one of the smaller containers to share for our blackberries. Admittedly, it’s been awhile since I’ve picked my own fruit – the last time was when I was living in Tallahassee. A good friend of mine had several blueberry trees on her property nestled against the Apalachicola National Forest and wanted help getting rid of the berries as she’s not a huge fan. I happily obliged. Oddly enough though, I actually have a lot of experience with fruit picking due to the fact that my mom used to own Martha’s Christmas Tree and Vineyard, a fact that may come as a surprise to some of my friends. I spent a lot of my free time in high school keeping up with the farm’s general maintenance: from mowing the grass between Christmas tree rows and pecan orchard to installing irrigation, planting saplings, and pruning back the five or so acres of grapevines, I ended up learning a lot about how much hard work goes into each successful season. And there’s something very special about being so ingrained in the process from seed to table. After about two hours of picking, we ended up with four pounds of blackberries and just shy of 20 pounds of blueberries – enough to sate the appetite of even the most avid berry lover. In heading back toward the front to weigh our haul and check out, we had the pleasure of meeting Dr. Gerard Krewer, the farm’s owner, who took the time to tell us a little bit about what goes into the operations at Harriet’s Bluff (especially as an organic farm), along with information about the different varieties and the length of the typical season. Our family has a pretty voracious appetite when it comes to berries (especially blueberries and blackberries), so we knew going in that we were probably going to be bringing home a large quantity. However, berries can also perish pretty quickly, so having a game plan for what to do with them once we had them was pretty important. 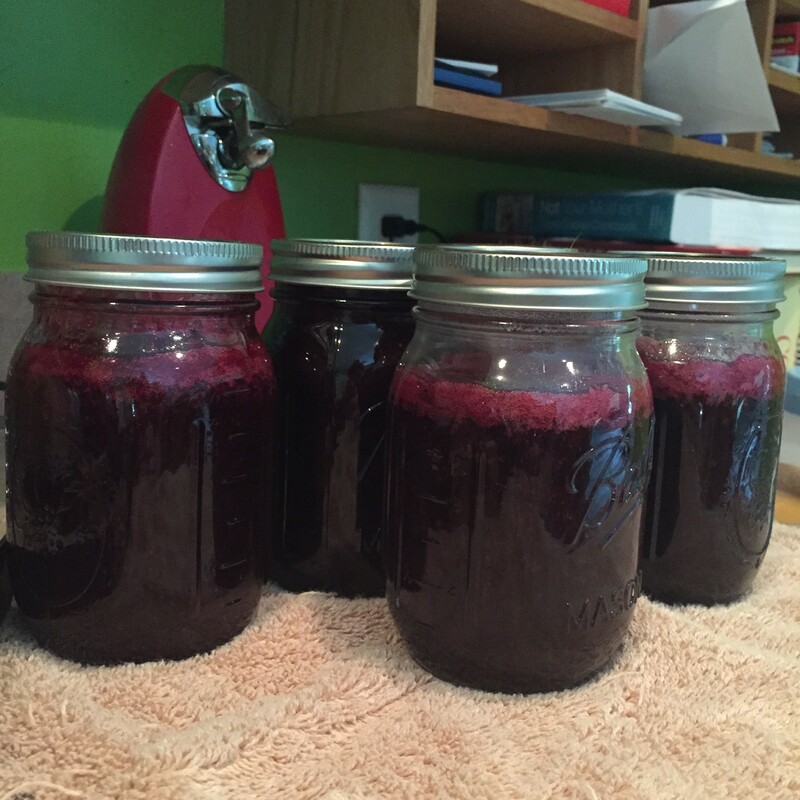 The jam was such a huge success, in fact, that I’m thinking about making some blueberry syrup as a way to continue to enjoy the fresh taste long after we’ve consumed the last of the loose berries (if I manage to leave enough to make syrup a possibility). 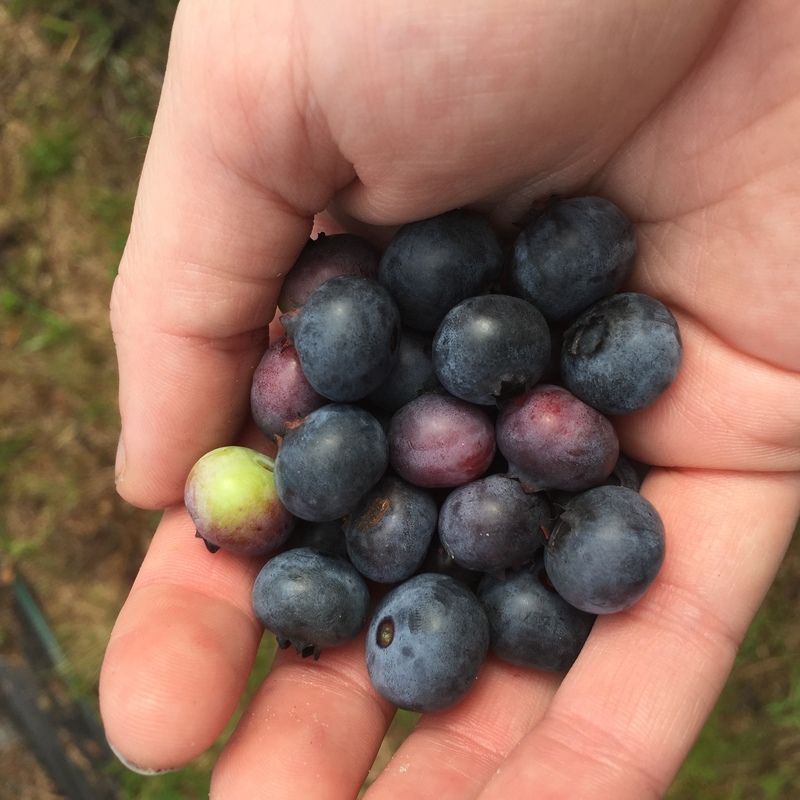 In the few short days since our berry picking adventure occurred, I’ve already enjoyed the blueberries in muffins, pancakes, jam as well as in their natural, unaltered state. The farm is open daily from 8 a.m. to 7 p.m., so if I’ve piqued your interest in giving berry-picking a go, I high recommend checking out their website or Facebook page for more information. I’m definitely planning to make at least one more return visit before the season ends! Have any other local farms I should check out or ideas on how to use up the last of my blueberries? Let me know in the comments below!